NEW YORK ( TheStreet) -- Here come the big deals in the hotel industry. Merger and acquisition activity, that is, not cut-rate room prices. "Industry consolidation is possible, but I don't think it's because of Airbnb," said Choice Hotels International (CHH - Get Report) president and CEO Steve Joyce in an interview with TheStreet. "The reason is because the hotel business is made up of five big companies, so when a Starwood comes out (looking for strategic alternatives), there is a lot of interest and notice." The long-time industry executive predicts there could be a strategic combination where one hotel company buys another to gain greater size. Or there could be a private equity deal like Blackstone's $26 billion purchase of Hilton (HLT - Get Report) in 2007. Joyce said there is a sense right now that the bigger hotel companies will continue to get bigger in an attempt to compete with new threats such as Airbnb and potentially Google (GOOG - Get Report) and Amazon (AMZN. Recently, Starwood Hotels & Resorts Worldwide Inc. (HOT has been rumored to be in talks with bidders InterContinental Hotel Groups Inc. (IHG and Wyndham Worldwide Corp. (WYN to sell itself. Starwood, which owns the St. Regis and Sheraton hotel brands said, in April that it would explore strategic alternatives. The speculation on mergers and acquisitions didn't trip up Choice Hotels' execution in the section quarter. Second-quarter revenue for Choice Hotels increased 17% year-over year to $232.2 million, beating consensus forecasts for $208.3 million. Earnings per share came in at $0.62, surpassing Wall Street's estimates of $0.58. Revenue per available room (REVPAR), a key industry metric used to assess a hotel's overall performance, rose 6.7% against the company's guidance for 7%. Occupancy improved by 3.8%. The quarter was driven by Choice Hotels' biggest brands -- Comfort Inn and Quality -- which collectively operate over 2,500 properties with a combined 200,000 rooms. Comfort Inn's occupancy increased to 69.5% from 67.6% a year earlier, while REVPAR rose 7.2%. At Quality, occupancy was 62%, up from 59.8% a year ago The brand's REVPAR advanced 8% year over year. 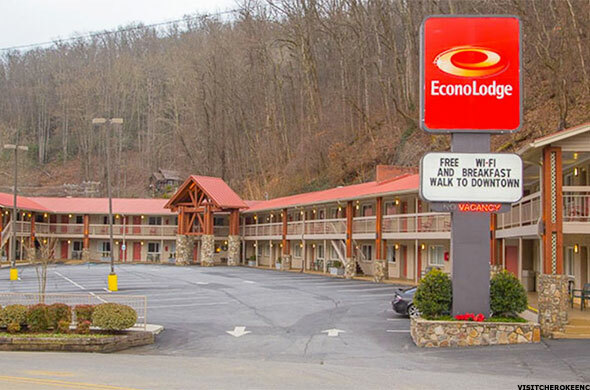 Still, in spite of the momentum in occupancy and room rates, mixed economic conditions in the U.S. caused Choice Hotels to reduce its REVPAR guidance for the year. The company now sees growth of 6.5% to 7.5% in 2015, compared to 6.5% to 8% previously. Investors punished the revised outlook on concerns that the hotel industry's strength -- which has been continuing for about six years as the global economy recovered -- has started to soften. Shares of Choice Hotel have now fallen 17% this year, underperforming the S&P 500's gain of 1.6%. Competitor Marriott (MAR - Get Report) has seen its stock drop 4.5% over the past six months, while Hilton shares have notched a 2.6% decline. But some investors may be forgetting a few things about Choice Hotels, and the broader industry, in their rush for the exits. The first is Choice Hotels' robust development pipeline of new hotels that will be making money very soon. Led by the Comfort brand, which has been receiving a facelift that includes better rooms and other amenities, Choice Hotels new domestic construction pipeline was up 30% year-over-year in the second quarter. Another is the potential boost in the valuations of hotel companies as they possibly seek to consolidate to compete more effectively in the future.